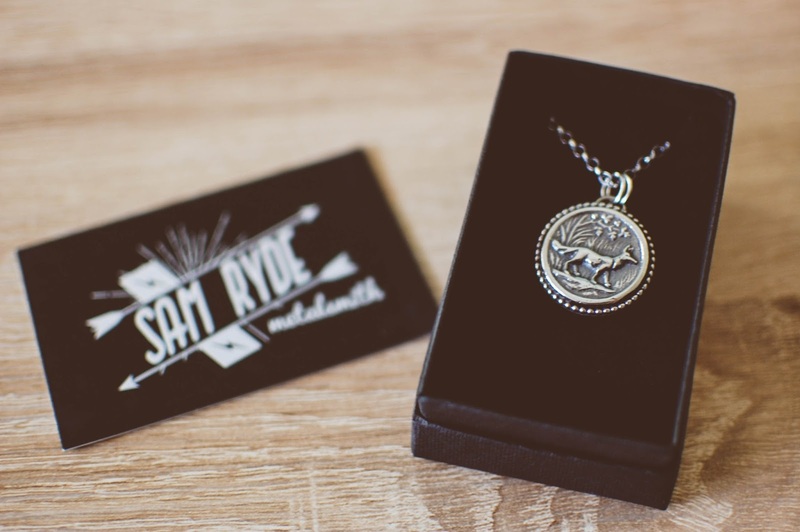 Sam Ryde is a talented metalsmith based out of Nottingham, in central UK. A few of her earthy yet edgy pieces passed in front of my eyes via Facebook. 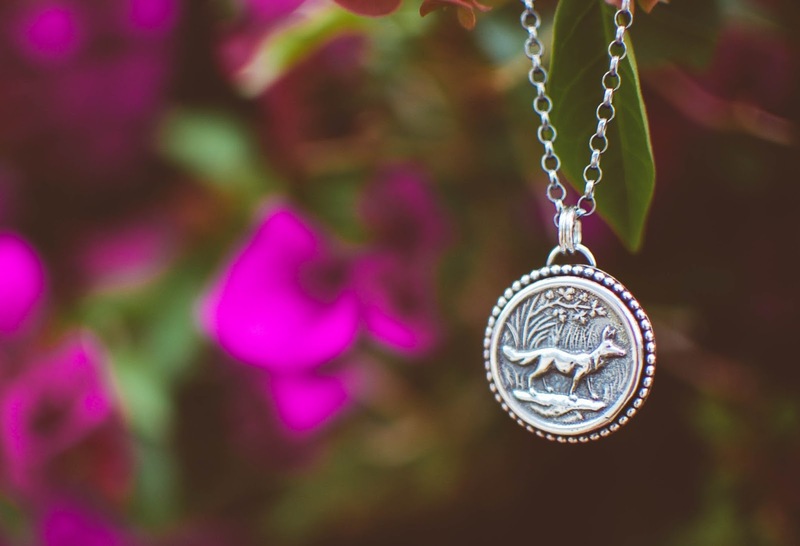 One in particular, a watchful fox at the forest's edge, sand cast from an antique Victorian picture button, stole my imagination and heart. The back is stamped with "Wild & Free" for an added beautiful detail. This piece is substantial, weighty, polished yet slightly oxidized. I love how smooth it feels on the skin. I believe there are still a few of these left on her site. I can see myself heading back to check out any future offerings. Keep in mind prices are in British pounds. Shipping was very affordable and easy, though. 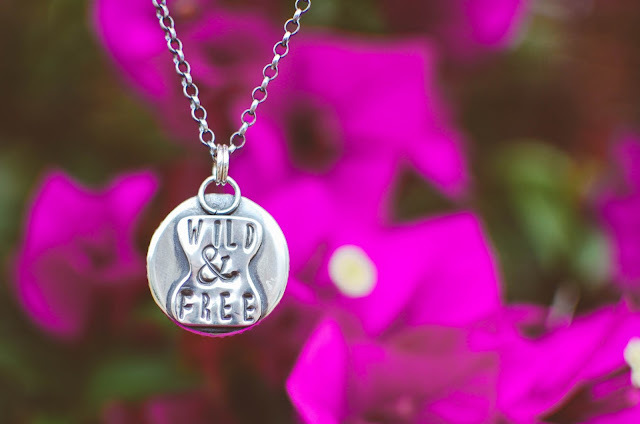 Is there a plant or animal you would love wearing in a jewelry piece? I'm such a simple jewelry gal, but I think you posted an owl necklace or locket I loved once. Hey, would you consider a necklace collection post, or have you already done one? The owl! Yes. I love that one. The students like when I wear that one too. I think it reminds them of Hedwig. I would consider one! I need to think how I would lay it out. I am part of a gently used handmade jewelry group on Facebook and they have a rule about not posting pieces purchased through them in honor of the artists' feelings so I may not be able to showcase my whole collection but I can at least show ones I have purchased directly from the artists.